“You’re moving where?” was the question I got asked most when I told family and friends I was moving to Boquete, Panama. Having scoured articles published by International Living on Panama, I took two trips to the country to check it out. 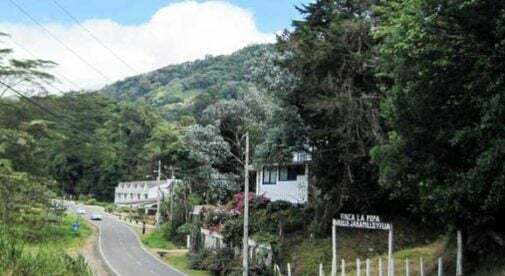 The mountain setting of Boquete appealed to me, and it’s a short one-hour flight from Panama City, a sophisticated city, not unlike New York where I was raised. By relinquishing my career, with the pressure of meeting sales goals every month and dealing with dissatisfied clients, most of the stress in my life has been eliminated. Today I’m surrounded by undulating verdant hills, rainbow-hued casitas, and fragrant flowers in riotous colors instead of concrete and soot smeared high-rise buildings. 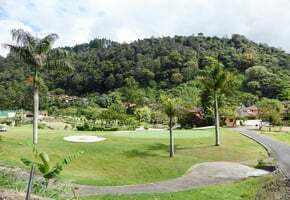 Boquete is home to two luxury golf resorts and several world-class spas. One of the many things that drew me to Panama was the affordable cost of living. I rent a lovely, two-bedroom, two-bathroom house with a fenced yard for $650 a month. My electricity comes to about $25 a month, cable/internet $45, and my cell phone bill is $20. I budget about $350 a month for food. I buy produce in the local markets and avoid costly imported goods at the supermarket. Every few days I visit a fruit and vegetable vendor for broccoli, tomatoes, carrots, onions, lemons, bananas, and pineapples and never spend more than $3 or $4. At home in Connecticut, I would have paid $4 for one very mediocre pineapple. I also love the freshly caught tuna that I get from “my fish man” Miguel for $5 a pound. I eat out fairly regularly at the local restaurants and can enjoy a good meal for $4. For that I get a tasty dish of chicken and vegetables, and a drink. On Sundays, I meet with friends for brunch and we splurge on Bloody Mary’s, bagels with all the trimmings, and coffee for $11 (and that includes the tip). There are also several upscale restaurants in town where a gourmet meal can run $25 to $30. I spend my days in Boquete tending to my garden, where I have planted banana and lemon trees, driving to David, the nearest city just 35 minutes away, and shopping in one of four massive supermarkets, or do volunteer work with rescued animals. There are many clubs to which I belong to; photography, movie, reading, and beading are just some of my favorites. Then there’s the art shows, concerts, plays, and parades…as well yoga, tai chi, and Pilates. Just as important to me as the activities I can do here, are the friends I have made. As geographically and culturally diverse as they are, we share the commonality of a desire for a more peaceful and healthy lifestyle…which we’ve found here in the beautiful, mountain, highland town of Boquete.